I'm 3 weeks into 20mg citalopram. No improvement on depression but I think I might have less anxiety. I'm 3 weeks into 20mg citalopram. No improvement on depression but I think I might have less anxiety. 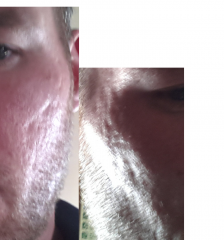 Ive just bought a dermapen - will it help these scars? will dermapen help these scars?